A panic attack can strike without warning and without an obvious reason, bringing with it overwhelming, sometimes paralyzing fear and terror. The experience is far more intense than a feeling of being ‘stressed out’, and terrified victims often report that they thought they were going crazy, losing control, or even having a heart attack. In fact, panic disorder sufferers say the attacks are some of the most sudden, frightening and uncomfortable experiences you could ever imagine. Panic attacks range from feelings of uneasiness to immobilizing bouts of terror. In this extreme state people experience white-knuckle, heart-pounding terror that strikes suddenly and without warning. Since they can’t predict when these attacks will happen, they may live in constant worry that another one could strike at any time. Although panic attacks also happen in people who are suffering other anxiety disorders, there is a difference between anxiety and panic. The actual difference is in the duration and intensity of the symptoms. Panic attacks are episodes that last for only a short time, whilst anxiety attacks occur more gradually and are usually less intense, but lasting for longer periods of time. If a sufferer has been worrying about having another panic attack for a month or more, or they’ve made significant changes in their behaviour to avoid places where they’ve previously had an attack, they may be diagnosed as suffering a panic disorder. A panic disorder differs from a panic attack because the individual will suffer from frequent and unexpected attacks. A panic attack happens when the body’s ‘flight or fight’ reaction kicks in at the wrong time. This is an involuntary physiological response that happens when the body is preparing to deal with an emergency or dangerous situation. When stress causes an increase in adrenaline it will cause the body to increase metabolism to quickly produce energy. The muscles become tense, heart beat and breathing accelerate and the blood composition actually changes slightly. The signs and symptoms of a panic attack reach their fullest intensity within a few minutes and usually fade within 20 minutes, although in some cases they may last up to 30 minutes. It is even possible for someone to experience an attack when awakening from a deep sleep. Most people who suffer from panic attacks are in their 20’s and 30’s and it is uncommon for the first attack to be experienced during teenage years or after the age of 40. Even people who are considered emotionally well-adjusted are prone to panic attacks, which increases the evidence that there is a biochemical reaction responsible for the disorder and that it isn’t purely psychological. Using natural remedies for panic attacks can often be just as effective as using prescribed medications, plus you don’t get the nasty side effects. 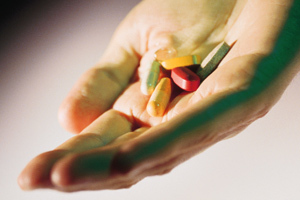 Psychotropic drugs can cause many physical side effects such as dry mouth, constipation, sexual problems, drowsiness, heart palpitations and more. Some anti-depressants and anti-anxiety medications can even cause more anxiety, which is not helpful in preventing the occurrence of panic attacks! Panic attacks are often followed by feelings of helplessness, depression and fear, and sufferers of panic disorder often say that their greatest fear is they will suffer another attack. Living in dread is obviously extremely stressful, and this is an important area where aromatherapy can bring relief due to the calming and relaxing properties of certain essential oils. The appropriate essential oils can help to soothe the mind, slow down breathing, and help bring back stability to the entire body. Whilst working with panic disorder sufferers in my clinic I have found that the powerful combination of essential oils and massage has often proved to be at least as good, if not better than many other forms of treatment my clients had already tried – especially when used in combination with counselling or hypnotherapy. Clearly, to tackle this problem effectively some form of investigative counselling is also needed to discover the root of the problem, so if you suffer from panic attacks you should always seek the advice of your doctor before commencing any form of self treatment. Relaxing and calming essential oils such as bergamot, clary sage, frankincense, Roman chamomile, melissa, neroli, rose otto, sandalwood, vetiver and ylang ylang can all help to instill a feeling of calmness, and may be used effectively on their own or whilst supporting other forms of treatment. For the best results choose 2 or 3 essential oils from the list above and dilute them in a carrier oil and ask your partner to give you a back massage. If this is not possible the oils can be utilized in a nice relaxing bath, added to a diffuser, or even inhaled directly from a tissue when you feel an attack coming on. Aromatherapy is undoubtedly one of the very finest forms of preventative medicine available today, and works well in tandem with allopathic medicine. When used correctly, aromatherapy helps to maintain a relaxed and calm state of mind which can be very helpful for sufferers, helping to keep recurring panic attacks at bay when other forms of treatment have proven ineffective. Essential Oils For Seasonal Affective Disorder Five Essential Oils For Reducing Anxiety Essential Oils For Spring Allergies Beat The ‘Brexit Blues’ With Essential Oils! According to the National Institute of Mental Health, approximately 2.4 million Americans aged between 18 to 54 have a panic disorder. This may coexist with other disorders – most often depression or substance abuse. The UK's National Institute for Clinical Excellence guidelines now advises doctors not to prescribe antidepressants as the first treatment option, since studies have shown that other types of therapeutic treatments have been more effective. Hypnotherapy, counselling, aromatherapy, relaxing herbal remedies, meditation and yoga are all natural treatments that are known to alleviate this debilitating condition. 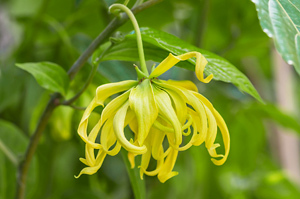 Research has shown that Ylang ylang essential oil lowers blood pressure and eases tachycardia (rapid heart beat), deepens breathing and has a calming effect on the central nervous system. It also eases stress and lifts depression, so this is an ideal oil to ease panic attacks. Carry it with you so that you can inhale a few drops directly from a tissue if you feel an attack is imminent. Here are some of the most calming essential oils that can be used for panic attacks. They can be used individually, or combined together for use in massage or fragrancing your environment with a diffuser. Adding essential oils to a nice warm bath can often help re-centre you after a panic attack.